The snow falls gently on Tadoussac. That’s it, it’s time to conclude our 2018 summer season. 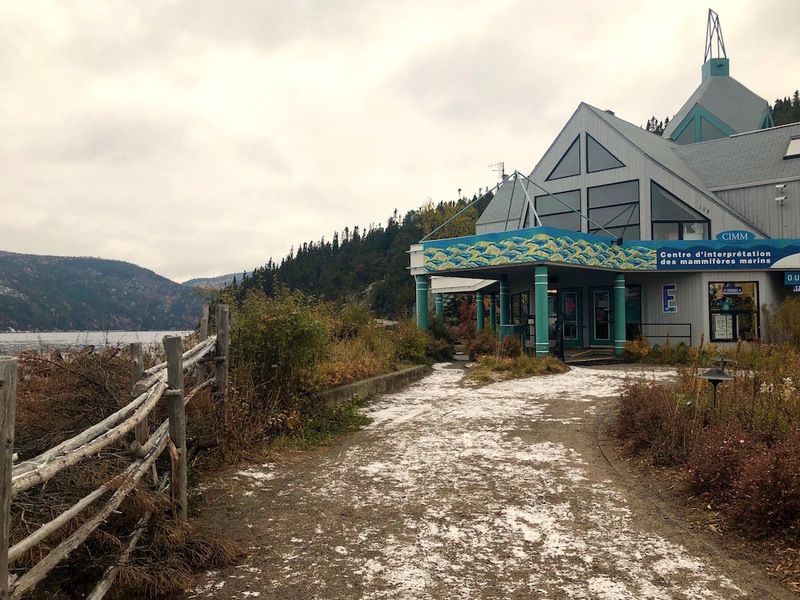 Our Centre of Interpretation on Marine Mammals in Tadoussac closed for the winter on November 2. Once again this year, we welcomed more than 30,000 visitors who were able to dive into the fascinating world of marine mammals. A success! The research boats, the BpJAM and the Bleuvet, have also been taken out of the water in the past few weeks, and the temporary tower at Baie Sainte-Marguerite has been dismantled. During the winter, we will start analyzing the thousands of data collected. How many individuals will enter the photo-identification catalogues? What new pages will we add to the individual whale stories? On our virtual magazine Whales Online.org, follow the progress of our work, discover what other teams are doing and let yourself be inspired by whale stories. Thank you to everyone who came to visit us! Thank you also to the naturalists, store attendants, receptionists, maintenance team, trainees, research assistants and volunteers for your involvement! St. Lawrence Estuary beluga population is currently listed as endangered under the Species at Risk Act of Canada. It is also listed as threatened under the Quebec Act Respecting Threatened or Vulnerable Species. Several threats related to navigation activities in the beluga’s critical habitat limit its recovery, including disturbance and exposure to boats’ underwater noise. Mitigating such navigation impacts requires tools to evaluate the performance of potential measures before taking action. The postdoc fellow’s project is part of a broader research program that aims at building a multiagent simulator of boat and whale movements in both the Saguenay and St. Lawrence Rivers to assess the effectiveness of potential mitigation options. The broader goal of the research program is to support a collaborative process to enhance the protection of the at-risk St. Lawrence Estuary beluga population in its critical summer habitat. The postdoc fellow’s project aims at building calibrated algorithms that accurately simulate belugas’ individual movements by reproducing data-extracted statistical patterns. 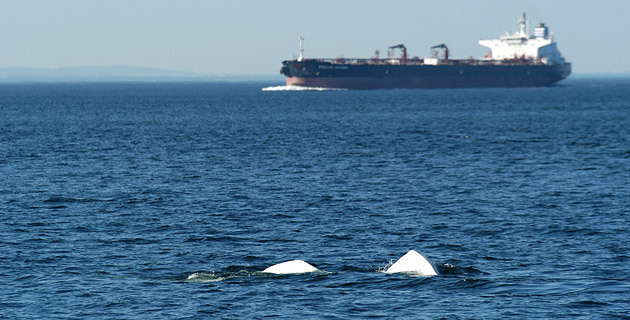 Several concurrent hypotheses currently exist regarding beluga movements, social dynamics, and responses to the presence of boats in their critical habitat. These hypotheses will be made explicit by the selected candidate. The related uncertainties will be translated into the proposition of concurrent movement algorithms. Statistical patterns will need to be identified at different scales (individual, group and population) and extracted from several datasets provided by collaborators. These patterns will allow to calibrate the movements algorithms and assess their performance using the Pattern-Oriented Modelling approach. Based on a literature review, the selected candidate will propose a series of beluga-specific indicators of navigation impacts (e.g. masking/communication space, disturbance, collision risks). These indicators will be used to assess the performance of mitigation scenarios using the final simulator that will couple a valid beluga IBM with an existing model of boat movements. 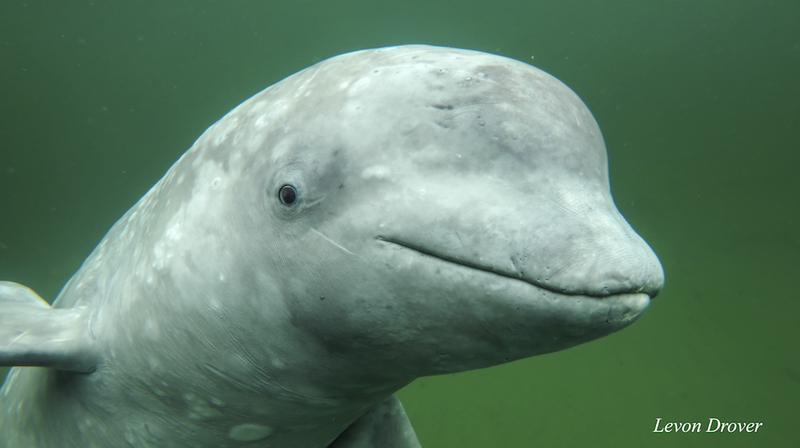 The development of beluga’s movement algorithms will be based on behavioral ecology theories and developed in collaboration with researchers who have been studying belugas since the early 80’s. Although this modelling project does not require any data collection in the field, the selected candidate will work in close collaboration with researchers from Group for Research and Education on Marine Mammals (GREMM), Fisheries and Oceans Canada, and Saguenay–St. Lawrence Marine Park, and will have the opportunity to take part in their field campaign. The desired candidate will show dynamism, motivation, intellectual curiosity and creativity, ability to work independently and as part of a team, along with a great sense of initiative. He/She will be encouraged and supported to travel for scientific communications (conferences, workshops), meetings with partners and stakeholders. The project funding is provided by the Government of Quebec. The selected candidate will be required to participate in the production of deliverables for the Ministry for Forests, Wildlife, and Parks and Ministry for Maritime Affairs on a yearly basis. • Deadline: September 30th 2018, or until the position is filled. NEPISIGUIT BELUGA SEEN AGAIN ALIVE! Great news! The beluga that was trapped in the Nepisiguit River in New Brunswick and relocated to the St. Lawrence Estuary on June 15, 2017, has been resighted! During this unprecedented operation, the animal was captured and flown to Rivière-du-Loup before being subsequently released into the waters of the St. Lawrence near Cacouna. 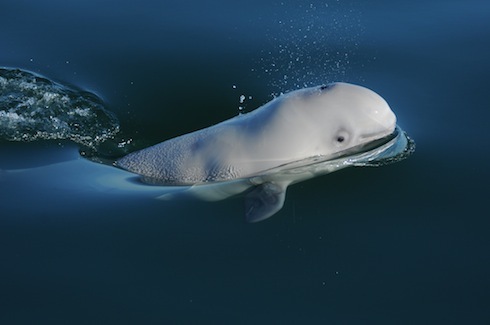 The St. Lawrence beluga population is endangered. The operation aimed to determine the feasibility and challenges of such a relocation operation, as well as to assess the chances of success for a solitary young beluga to reintegrate a social group over the long term and contribute to the recovery of the population. “According to the images that have been transmitted to us, the Nepisiguit beluga appears to be in good health. He appears vigorous and is swimming well,” confirms veterinarian specialist Dr. Stéphane Lair of the Université de Montréal’s Faculty of Veterinary Medicine. The team was surprised, however, that the animal was resighted far from its release site in the summer range of the St. Lawrence beluga. On July 14, the rescued beluga was identified in Ingonish, off Cape Breton, Nova Scotia, by Catherine Kinsman of the Whale Stewardship Project: ” I was called to give atalk in the community about two vagrant belugas. While watching videos of them, I kept looking at the gray beluga’s skin and a scar pattern I was sure I’d seen before. Then photos of the Nepisiguit beluga matched! I was so excited to identify him.”He is in the company of another unidentified male beluga. “We suspected that the animal survived and we can now confirm this. 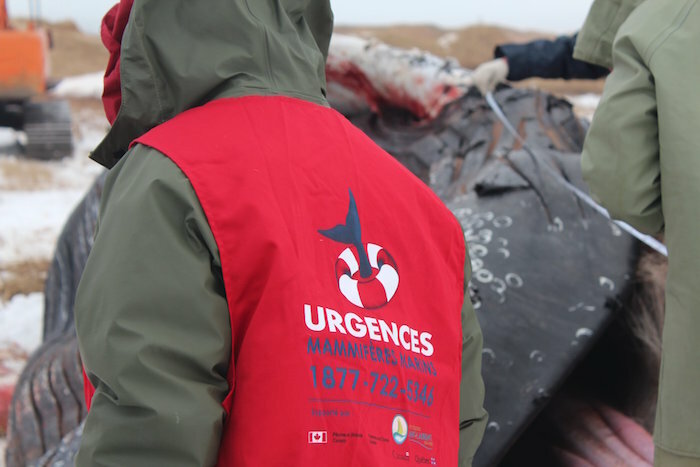 This raises some questions, however, about whether this animal will ever contribute to the recovery of the St. Lawrence beluga”says Véronique Lesage, Research Scientist and beluga specialist with Fisheries and Oceans Canada. Authorities and researchers are concerned about the welfare of these isolated belugas given the degree of interaction they have with humans. “We often get vagrant animals such as these in areas outside the St. Lawrence Estuary and they can become a source of fascination for the public,” says Tonya Wimmer, Executive Director of the Marine Animal Response Society (MARS). “It is important that people maintain a safe distance, which the new federal marine mammal regulations dictate must be at least 100 m.” The two belugas off Ingonish are being closely monitored by Fisheries and Oceans Canada fishery officers. The adventure of the Nepisiguit beluga is therefore not over. “We had to wait a long time to hear from the Nepisiguit beluga and we would have preferred that he stay with other belugas in the St. Lawrence Estuary. We will try to gather more information on this vagrant individual to understand why the animal has moved away from the St. Lawrence Estuary, and whether or not it will eventually return to this location,” says Robert Michaud, Scientific Director of the Group for Research and Education on Marine Mammals (GREMM) and coordinator of the relocation operation. The public is reminded that it is illegal to approach within 100 m of these animals and to attempt to feed them or swim or otherwise interact with them. “The best chance for these animals to return to their fellow belugas is if we minimize our interactions with them,” adds Michaud. On June 2, 2017, the Marine Animal Response Society (MARS) received a report of a beluga swimming up the Nepisiguit River near Bathurst, New Brunswick. The whale was not inclined to leave the river and its health was failing. 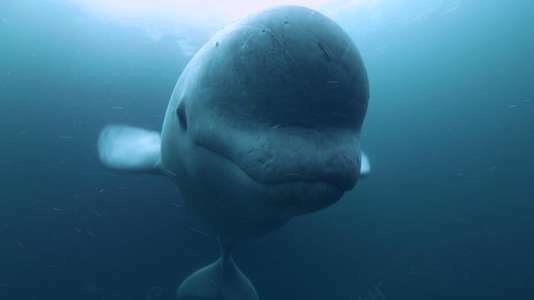 Since the St. Lawrence beluga population is classified as “endangered” and has been declining considerably since the early 2000s, the survival of a single individual could have an influence on the population’s recovery. Based on consultations between MARS, GREMM, Fisheries and Oceans Canada, and veterinarians from the Université de Montréal, the Vancouver Aquarium and the John G. Shedd Aquarium in Chicago, it was decided that the animal should be captured and relocated back to the St. Lawrence Estuary to determine whether it is possible to reintegrate a vagrant beluga with its natal population. On June 15, the beluga was captured in the river and transported to the Bathurst airport, from where it was flown to Rivière-du-Loup (during which time it was rehydrated) and taken to the port of Gros-Cacouna, where it was placed on a small vessel and released into the water near a group of belugas in the St. Lawrence Estuary. A tag attached to the animal’s back transmitted satellite positions for 19 days following its release. The last time a signal was received from the Nepisiguit River beluga was on July 4. Marie-Ève Muller, Communication Officer, Group for Research and Education on Marine Mammals (GREMM), 418-235-4701 (office) 418-717-6061 (cellphone), memuller@gremm.org. The 2018 summer season is launched! That’s it! The Bleuvet and Gremmlin, GREMM’s research boats, are now ready to go. The Marine Mammal Emergency Call Centre team is in place to receive case reports. 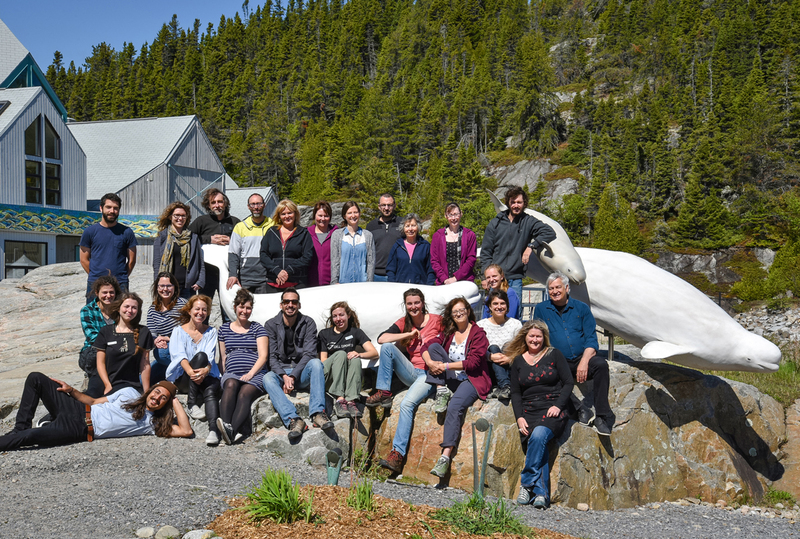 At the Marine Mammal Interpretation Centre (CIMM), the naturalists, the reception team and the boutique team opened the doors of the museum in mid-May and the new ones will complete their training in the coming days. For Whales Online, new fingers are typing on keyboards and filming behind the camera to relay news about marine mammals. Will you be joining us this summer? Come and see us in Tadoussac! 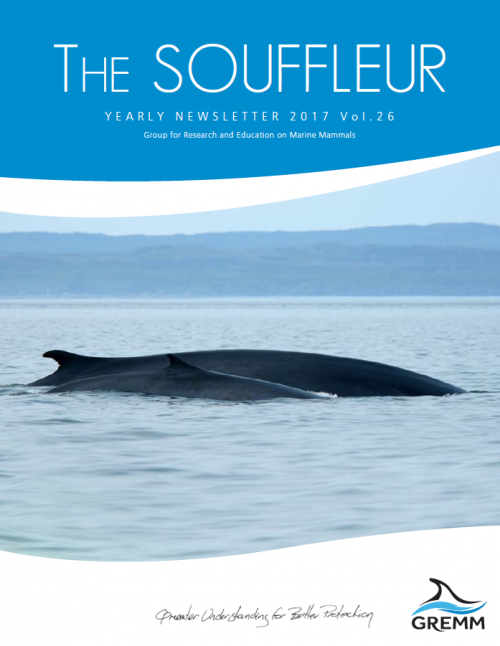 The Souffleur is the annual newsletter of the Group for research and education on marine mammals (GREMM). For the record, the first Souffleur was printed in 1989. Each year, GREMM partners and friends received the newsletter. But then, after 2013, the newsletter ran out of steam. Let that not hold! A new edition has just been published. And you will see, the whole GREMM team worked hard in 2017, thanks to your support. We won’t tell you any more, go read it!